In September last year, TikTok surpassed YouTube, Snapchat, Instagram, and even Facebook in monthly App Store downloads. For a fringe social network, the kind most would assume occupies a second-tier of the internet’s social media hierarchy, you’d be forgiven for not noticing the app had become the internet’s most interesting network of creatives. 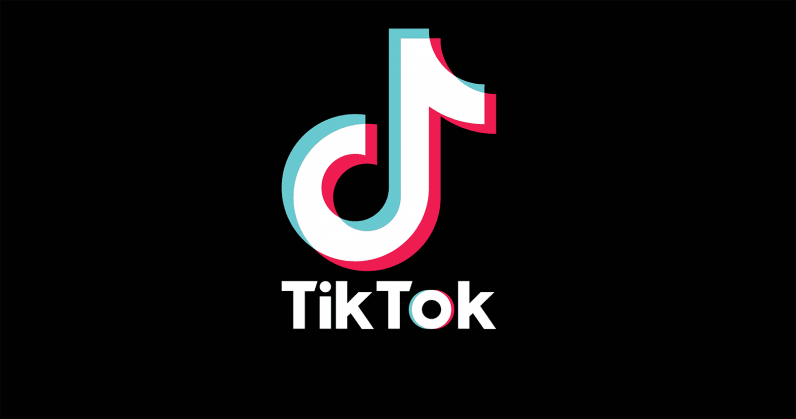 For more than 500 million monthly active users, TikTok is a place to let your freak flag fly. It’s a difficult thing to describe, but comparing it to Vine — the now-gone six-second video loop platform — seems like an obvious place to start. Like Vine, the app is designed for creation and consumption. For creators, it’s a place to wow a major audience with some of the most innovative and creative videos you’ll see online, like Dubsmash 2.0. For consumers, it’s an endless time sink that will have you scrolling until your battery dies. So whether TikTok has been on your radar for a while now, or you’re just curious about the place your kids are spending an inordinate amount of time each day, this guide has you covered. It’s billed as a lip syncing platform, but the descriptor isn’t doing anyone any favors. It’s a mishmash of content, both good and bad, that does feature a lot of lip syncing. But not that type of lip syncing. You won’t see many cringe-inducing videos where teens are belting My Chemical Romance into the bathroom mirror, anyway. Instead, it’s a lip sync app in the loosest sense of the word, one that relies more on creative edits, storytelling, cool costumes and makeup, mood lighting, acting, and liberal use of onboard filters. The glue that holds the platform together is clearly music. You can see what’s playing, if you’re so inclined, by checking out the scrolling ticker at the bottom of each video, next to the music note. Clicking the ticker will bring up other videos using the same tune — as will searching for it in the Sounds tab (it’ll appear after you type in your search term). It’s not all about music, though. While the vast majority of the platform’s videos pull sound clips from popular (or remixed) tunes, others act out monologues you might find on TV shows or movies, like Family Guy, or Step Brothers. These range from dramatic or humorous reenactments, to creative interpretations that really have nothing to do with the clip itself. Some are used so often they’ve become memes, the type of content responsible for hundreds (or thousands) of copycat responses. Memes are prevalent, perhaps the driving force behind the platform itself. And while you’d think that this much copycatting would lead to a boring experience, you’d be mistaken. Some of my favorite TikTok content is of the meme variety, and I’ve seen most of it dozens of times already. And while it’s derivative by nature, it also acts as a litmus test to weed out the platform’s most creative users, those who routinely add their own spin to otherwise tired content, refreshing it and making something altogether new. You’d be doing yourself a great disservice in assuming that a video is going to be the same as another just because of the clip playing in the background — even those that are remarkably similar are often just different enough to hold your attention, at least for 15 seconds. Also worth mentioning is the Duet feature. This offers another great way to refresh content, allowing users to “duet” another video by shooting a reaction that appears alongside it. Duet a single video and you’ll get a side-by-side split screen; duet multiple videos and… well, it can get a bit messy. It’s mostly best to stick with dueting just one other user. To duet someone, you’ll click the Share button in the bottom right of the screen and select the “duet” function in the pop-up menu. From there, you’ll just record a video as you normally would. TikTok is a land of paradox. While it’s true that its content is all over the place, there is some structure to it if you’re paying attention. Certain songs, for example, are only meant to be used for specific types of videos. There’s “Chasing Dragons,” a song meant for recovering addicts to tell their stories. I once saw a girl get roasted for creating a 15 second booty-shaking clip as opposed to using it how TikTok users deemed appropriate. She deleted the video shortly after. Certain songs have been co-opted and the users know what’s coming when they hear it. I wouldn’t suggest using them for other types of content, unless you’re willing to deal with hordes of angry commenters. This one, for example, has typically been reserved for servicemen and women reuniting with their families. The home screen on TikTok is known by most as the #ForYou page, a starting point that acts as a feed of ever-changing content TikTok’s algorithms think you might like. You can switch the feed from an algorithmic one to a feed of just the accounts you follow by clicking back and forth between the “Following” and “For you” links at the top of the video you’re currently watching. Navigation is relatively straightforward, with a bulk of the options located at the bottom of the main page. Search is just what you’d imagine. Click the magnifying glass and you’ll find a page with other trending hashtags, and then a search bar up top. Type in your query, hit Enter on your mobile device, and you can sort your searches based on Users, Sounds, or Hashtags. The “+” button is how you’d typically create new content, unless you’re trying to use the Duet feature, in which case you’d click the Share icon next to their video, and select Duet. We’re not going to dive into creating videos here, as that’s really worthy of a piece all its own. But it’s about as simple as using Instagram or Snapchat, if you’ve ever uploaded a video to either platform. Notifications are where you can check for private messages, comments, new followers, live notifications (when accounts you follow are doing a live stream), and the like. Your profile is, well, your home on TikTok. It’s here that you can see who you’re following, who is following you, and all of the videos that you’ve previously favorited. That’s not terrible advice, but there’s a better way. To find content, the easiest place to start is on the #ForYou page. It’s here that TikTok rounds up notable submissions of the day and dumps them in a single continuously scrolling feed. You can scroll for days and not run out of clips, although the experience gets much better once you start adding your favorite creators. TikTok offers a handful of ways to add users and see more of their content. The first is simplest, just click the @username at the top of the video description to open their profile. If it’s a Duet, or the user wants to shout out another TikTok account, there may be a second (or third) @username in the video description. Clicking the username will take you to that user’s account. Once there, you can click the big red “Follow” button to see more of their content. Alternatively, you can just click the bottom portion of their profile image on the right when watching any of their videos. Here you’ll see a small heart icon at the bottom of the profile photo if you aren’t following the account, and it’ll disappear if you are. Click that, and it’s an instant follow without leaving the page — a great way to like someone and then move on quickly to the next video. Lastly, there’s the search field. You can find any user by typing in a username, clicking search, and then selecting the Users tab. To find more people to add, or content that better suits what you’re looking for, you can abandon the #ForYou page for a bit and check out some of TikTok’s trending hashtags by clicking the magnifying glass at the bottom of the page. From there, you can click around until you find what you’re looking for, or go back to the #ForYou stream by clicking the Home icon. Hearts and follows are currency at TikTok, and creators are creating content mostly so that others will validate it. Meaning, if you want to show someone on TikTok that you appreciate their effort, the best way to do that is to click the heart button on their video, follow them (as described above), or send a comment professing your love for their videos. Tapping the heart icon under the profile image adds the user to your favorites, as outlined above. To like content, just double tap the screen, a la Instagram, or hit the heart button in the sidebar. If you want to watch it again later, you can check it out under the heart icon in your profile. Commenting and sharing should be pretty self-explanatory. The Tune icon brings up other videos that have used the same music. You can click any of them, and begin scrolling through a whole new feed where all of the videos included feature the same Tune. If you really want to show your appreciation you can tip your favorite users when they go live. Users can purchase monetary gifts of anywhere from five cents, to $50. One user reported earnings of $25,000 a month on the platform through partnerships and gifts. Yeah, the community at TikTok is mostly wonderful. It’s easily the most wholesome social media app on the internet, and it’s one of the few that I wouldn’t fret too much about my child using. It has its issues, but overall I’m in awe of the community TikTok users have created. It’s inclusive, encouraging, and its users stand up for each other when the occasional bad apple wants to troll or bully another user in the comments. In fact, the most “liked” comments are often of the supportive variety, whether it’s an overweight person beginning their weight loss journey, a physically or mentally disabled person joining in the fun, or a recovering addict seeking support. It’s social media, so there are always going to be the accounts focused primarily on a users’ abs, or cleavage, but that’s really about as racy as most content gets aside from some song lyrics that your kids are probably more than familiar with anyway. As a parent myself, I really wouldn’t worry about much so long as your child is over 13 or 14 years old.